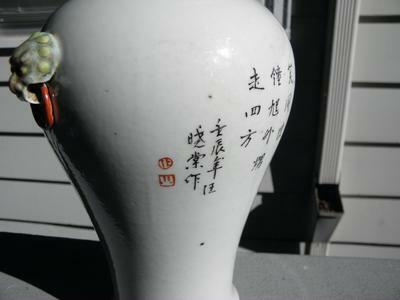 Comments for republic period vase. Shelley is right, Stan. It is Wang Xiao-tang. I was confused because the name was written on two lines. Very unusual, in my view. I confirm the dates Shelley gave, he is listed among the Qianjiang artists. Many of these switched later to New Fencai style decorations. He would have had to be extraordinarily talented to paint something like this at age 15 or younger (given the item would have been made in the 19th century). Again, the style is clearly a 20th century style. 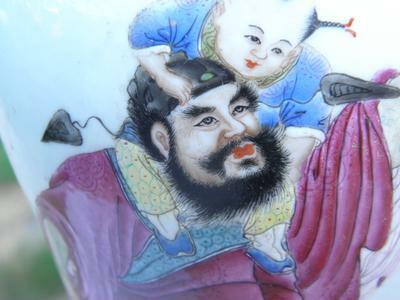 This realistic style of depicting people was only beginning after the Qing dynasty, probably under the influence of western art. There is another thing that I have some doubts about...in the text. 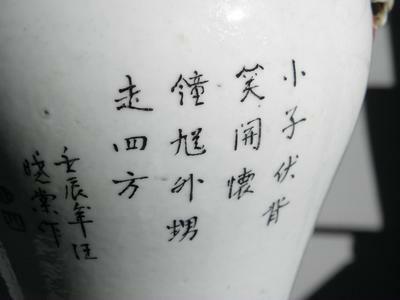 The third character of the first line (extreme right) and the first character of the last line (left side) are both in simplified characters. 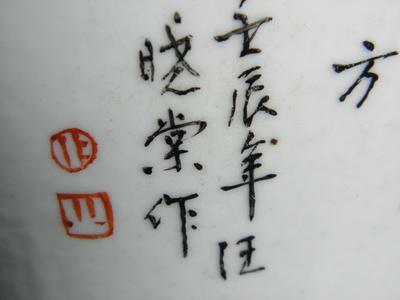 Simplified characters were announced about 1956, but were not universally used until some four or five years later. The problem is that some characters are written simplified in everyday writing by those using traditional characters too, but I do not know if these two belong to these. I did not find the first one in a classic dictionary, so that might mean it was either not used or only included later. 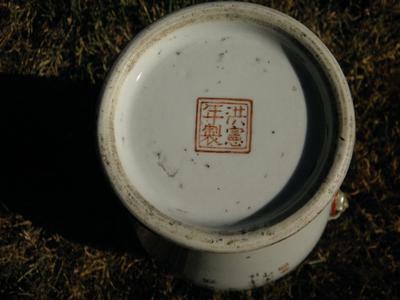 Please be careful with 20th century porcelain painted by well known porelain artists. 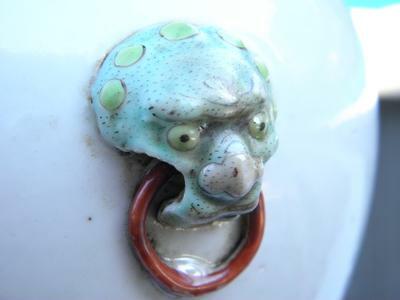 There are probably as many fakes around as with antiques, and they may be very expensive. I doubt you get the real thing on Ebay, at least not at that price. 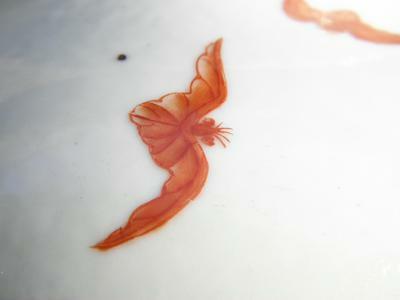 And, I would also like to remind you that it is possible to paint something on an old plain colored porcelain body, which might give the impression that the whole item is old, even if it isn't. 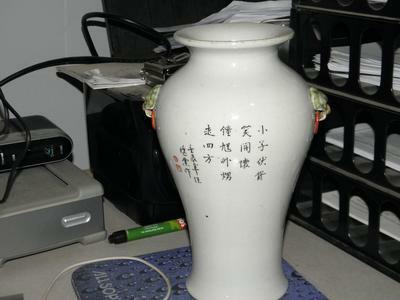 According to Koh antique.com and Gotheborg.com, the artist, whose name is on the vase, is Wang Xiao Tang 1885-1924. 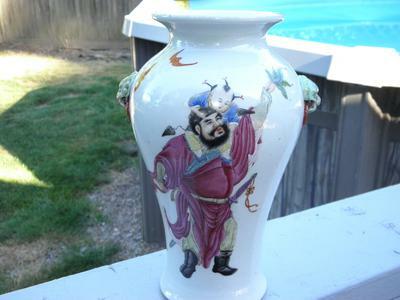 He was a pioneer of new fencai decoration and famous for human figures. Very few of his works survived. 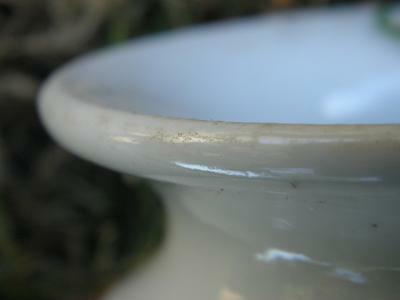 Hi Peter, I bought this vase on ebay for $325.00, I was told that it was 19th century, I bought it because I thought it might be early republic, it looked older, but even doing a hands on inspection it seemed to be older than 1952, needless to say I am returning the vase, ebay has a 14 day return policy, so thank you for saving me a bundle on something that is not what it appears, BTW I can't believe all the new porcelain coming in from china and claiming to be antique, It is all new, buyer be ware. 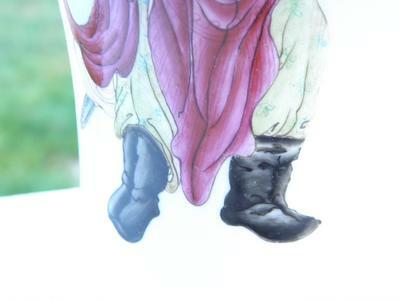 It seems that it is not a name but rather the place where the item was painted. I will see if I can find more later today. The cyclical year corresponds to 1952. It couldn't be earlier as the previous same year would have to be 60 years earlier (see calendar table under "cyclic calendar"), and the painting style is definitely 20th century. 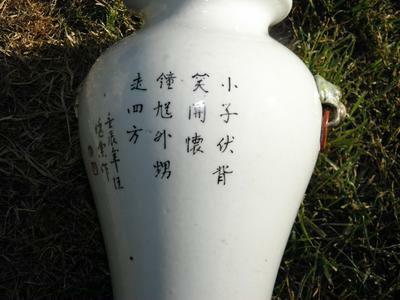 Hello, I am not sure just how old this vase it I believe it is early republic but i am not sure, the height is 9" and 6" from the foo dog to foo dog, I think they are foo dogs, and could you tell me what kind of mark is on the bottom and what is written on the back, I will send more pictures, thanks. 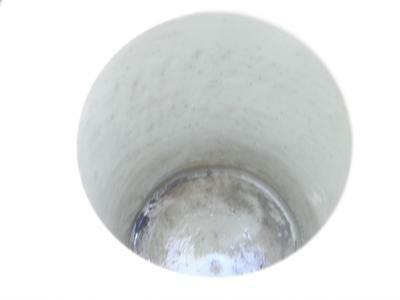 here are another set of pictures of the vase. Hello again here is the last set of pictures, if you need any more let me know thanks. Can you upload the part of the text farthest left? That is the one that is most important. 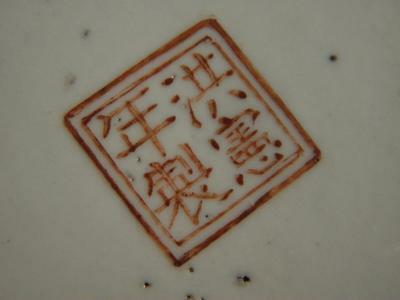 The Hongxian mark is mostly used on later items, so I think we can ignore that. 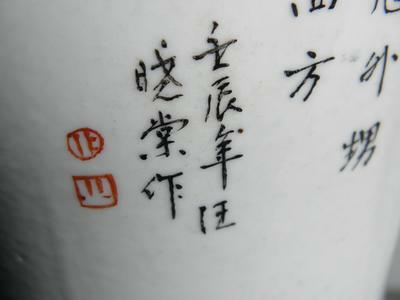 But this vase apparently has an artisan's name and cyclical year which may give some hints.